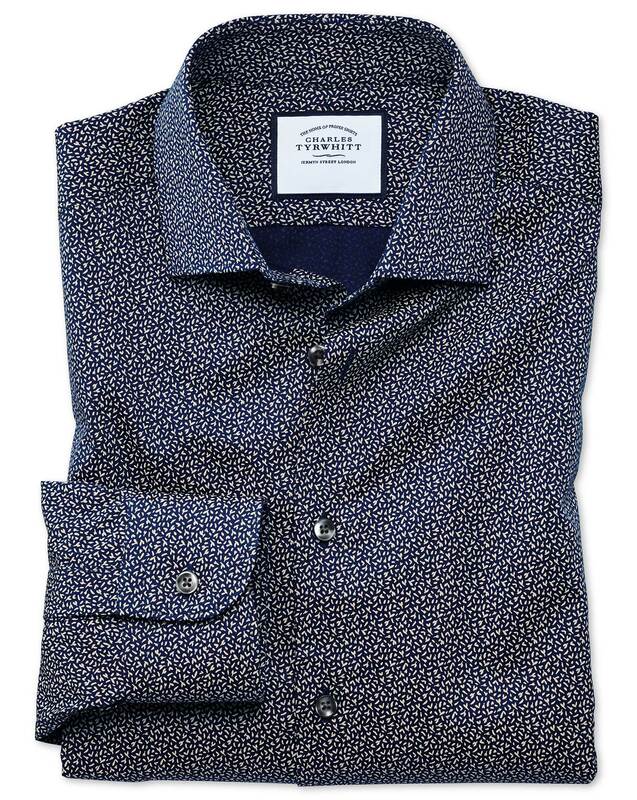 "The day has come: we’re finally able to conduct serious business in a printed shirt without raising eyebrows. Celebrate it by pairing one of these marvellous styles with a pair of stretch chinos, and give your office walk a nonchalant swagger. " "Made from lightweight 100% cotton poplin, styled with semi-spread collar and no front placket for a modern Business Casual look." I have, I have! Read above.